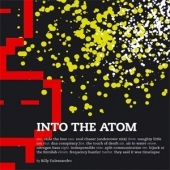 This being Dalessandro’s third full length album, “Into the Atom” takes listeners on a voyage into the bits and pieces of what separates the average tracks from the very best. Similar to the role an atom plays in the molecular build up of all things on this planet, the release exemplifies the minute twists and turns Dalessandro takes with his music that help define him as among the true artists in the production field. It separates those who build the bandwagon from those who wait until its completion to hop aboard.